Mountain Biking a great way of getting out and about, sometimes to some fairly inaccessible places and the last thing you want is a long walk home. So there are a few essentials you should take with you when you go out riding. This is one of the most useful things to carry and without it there’s not much you do to be honest. Get a comprehensive one that covers all the bolts you’ve got on your bike, which is a surprising variety of different sizes and fittings. 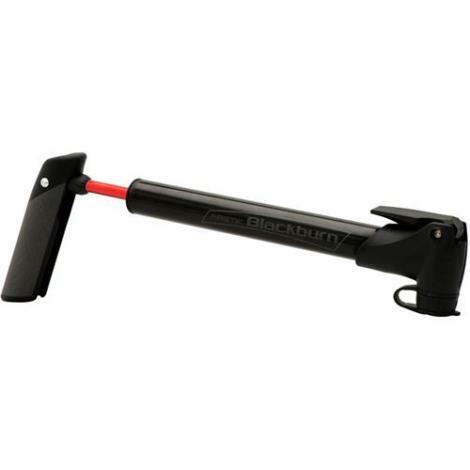 Allen keys are vital – 4, 5 & 6mm covers most of the handlebar, stem, brake and gear levers, seatpost and clamps, brake attachments etc. You might also need an 8mm for pedals and crank bolts. A torqx T25 head (star shaped) will enable you to tighten your brake disc bolts too. If possible also get one that has a chain breaker. It’s noramlly quite easy to patch up a broken chain, enough to get you home anyway, but you need a chain tool for that. 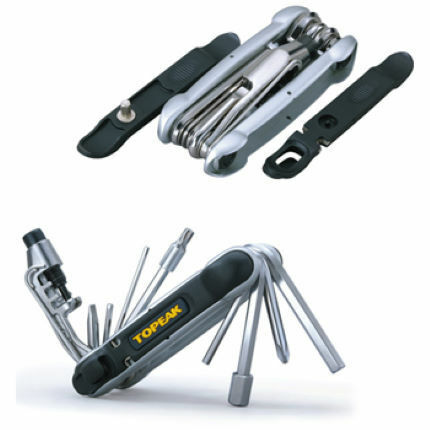 The Topeak Hexus II Folding Tool is great example with pretty much everything you’ll need on it, including all of the above and tyres levers too. It’s also decently priced at under £20. 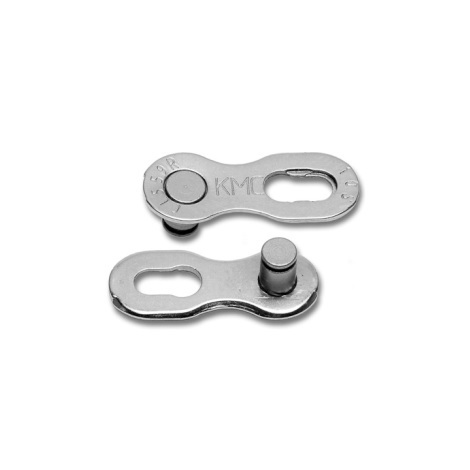 Modern chains are held together with toughen pins that are a one shot deal – once removed, they can’t go back in. Most chains are joined using a “magic link” which is a chain link that splits in 2 halves, to enable removal and refitting the chain. (Shimano are the exception, but they can be refitted with a magic link, so this solution works for all chains). If you have damaged your chain, you need one of these to put it back together once you have removed the damaged links, so best to carry one with you. They come in 10, 11 and 12 speed specifics, all of which are different widths, so make sure you carry the right one for your chain. King of the bodge, zip ties can be indispensable on a ride! Not just for strapping down mudguards or cables that have come loose, they can hold on a brake calliper that has snap something (temporarily of course! ), hold together a saddle that’s snapped or I’ve even used one as an emergency spacer to put together a headset that has come loose. Pick some long ones for versatility. Mountain Biking burns a lot of energy and our bodies usually only store enough carbohydrate reserves for 90 minutes. So you need to carry some extra with you. You can buy products such as energy gels, energy bars and energy drinks that are easy to carry and deliver energy quickly. Some also contain minerals to replenish those lost through sweating and others caffeine – just enough to kickstart your body into releasing it’s energy quicker. However you don’t need to buy specific energy products. Bananas are a good source of energy and potassium and flapjack contains slow release carbohydrates (oats) and faster released ones in the sugar and syrup. We live in the UK and the weather is variable at best (rain’s a lot too!). It’s always good to take at least 1 extra layer with you, preferably something at least wind and showerproof. 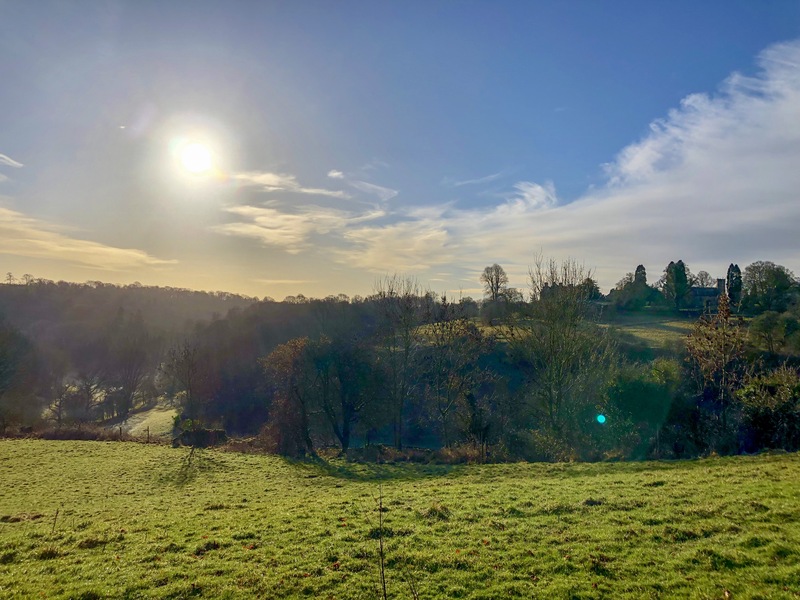 Not only will this help you if the weather turns, but if you or one of your group get injured, this will be vital for keeping them warm till help arrives. Although this article is about what to put in your backpack, that rather presumptuously assumes you have one. There’s no need to carry a massive pack on your back, weighing you down and lots of hydration packs now have additional storage as part of them. Most of the tools above will fit into the smallest of hydration pack pockets, so you’ll only need something bigger to carry a pump if you can’t frame mount it and the extra clothing. 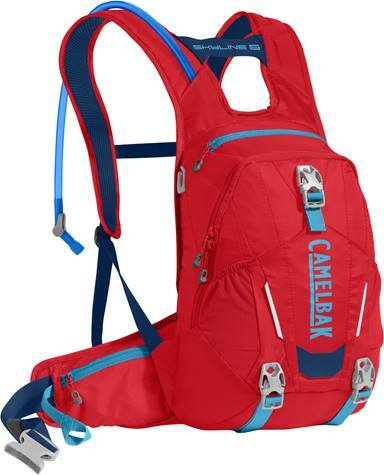 Something like the Camelback Skyline, which has a 7l of storage to complement the 3l of water it can carry, is a great size for most rides. Finally, what about saddlebags? If you’re wanting to carry the absolute minimum, you can use an under saddlebag, but these tend to be more popular in road cycling – not least because they are right in the front line for mud in mountain biking, and they can get in a right state! 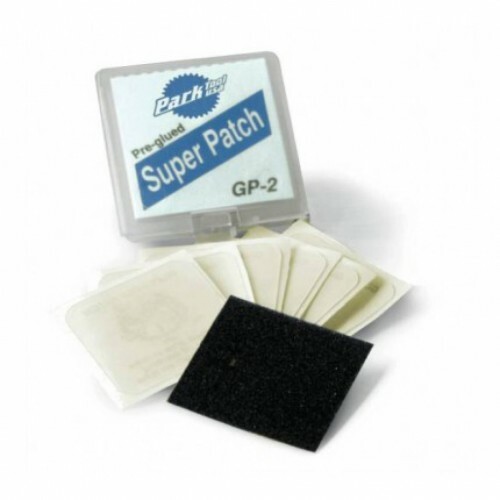 However you can get a multi-tool and puncture patches in most – often an inner tube as well. 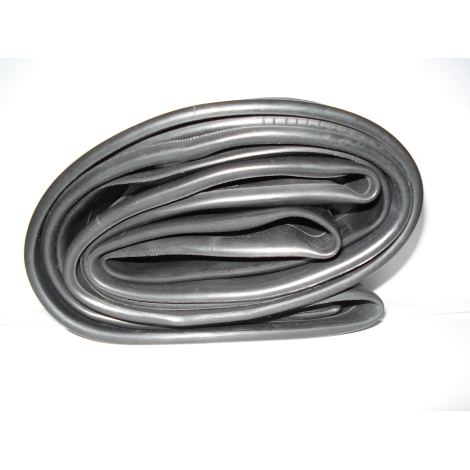 The inner tube incidentally is a good way of padding it out to stop rattling – and if it still rattles, just inflate the inner tube slightly to fill the bag.